As a senior IT Manager in a prominent Canadian municipality, I wrote and reviewed numerous RFPs and responses. Let’s just say that some are better than others. Some responses are put together in a rush, and that is not always the fault of the responder. However, many are put together without putting the appropriate effort into creating the response. A foot in the door through a successful RFP response can be a significant stepping stone for a business to gain access to the organization issuing the RFP. So how can you stand out from other RFP responders? Of course costs, value, expertise and more all come into play, but on a level playing field, how can you stand out from your competitors? The answer, I believe, is in the attention to detail. Some of the items in poor RFP responses include: spelling mistakes; grammatical mistakes; not following the rules; not understanding the context of some or all of the RFP. Spelling mistakes are really unacceptable in today’s world. Yes, the English language has many variations of certain words (there; their; they’re; for example), but a spell checker will at least catch 95% of spelling mistakes, and it usually takes just a few minutes. What about the example given above where a spell checker does not catch it? This is where you need someone who understands the English language (or other languages depending on the initial RFP language). You do not need to be an English professor to perform this task. Some understanding of the context of the language and the use of a grammar checker will help. I have seen where an RFP specifically states that the response can be no more than 60 pages, yet some responders have included over 200 pages in their response. This is an immediate disqualification. Other reasons for disqualification include: missing deadlines; contacting the wrong person within the issuing organization (usually only the Purchasing Officer or designate is allowed); non-completion of relevant forms and sections. Yet another reason for a failed response is that the RFP is misunderstood. Let’s face it, not all RFPs are written well. You can however (in most cases) ask for clarifications, but even the clarifications are not always clear. 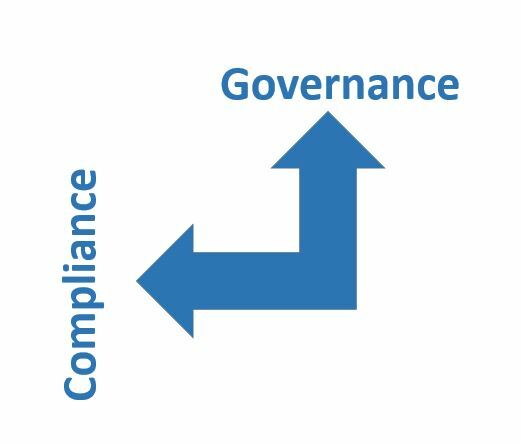 How can governance help you to avoid all of this and lead you to a successful RFP response that meets all the requirements? Spelling & Grammar: If you can’t spend the time doing a basic spell & grammar check, and your response is full of typos, I probably don’t want you installing my new system or building my bridge or apartment complex. Take some time and do the checks, not just using technology, but also have someone review the response for contextual correctness. Rules: We may not always like the rules but the issuing organizations make them, so you need to stick to them. Make sure you check all mandatory conditions and adhere to them. Understanding: Make sure you ask questions if you do not understand an RFP or a particular section. If you still don’t fully understand and the questions deadline has passed, ask others in your organization or even outside your organization if they can help decipher the issue. Quality Control: QC is basically all of the above suggestions plus this: In any RFP response, you will probably require a technical resource, a language resource, and perhaps others, but eventually, you need a Quality Control resource. Nothing should leave your organization without a QC review being done. The person performing this QC review should be accountable, and not just a rubber stamp. An RFP response document, and possibly any other document that leaves your organization to be reviewed by others, is a reflection of your organization. If the work is shoddy, then your organization will be considered shoddy. If the work is of a highly professional nature, then your organization is much more likely to be viewed in that light. Take the time and pay attention to detail. It is worth it!